which contains nine 100% organic ingredients. Iaso Tea includes a special blend of safe, natural, edible herbs including: Holy Thistle, Persimmon leaves, Malva leaves, Marsh Mallow leaves, Blessed Thistle, Papaya, Ginger, Chamomile, and Myrrh. It is the special blend in Iaso Tea that allows the gentle cleansing of the whole body with continued use. All the enzymes that used to be in our food to give us colon health have been destroyed with modern processing of foods and pasteurization of dairy products. Now we can get back to enjoying perfect colon health! has been working on this safe and effective colon-cleansing Iaso Tea product for many years, perfecting it for consumption by persons of every age and weight. This unique herbal blend of safe, all-natural ingredients is designed to gently cleanse the digestive tract and detoxify the whole body. Iaso Tea is like a white tea, a green tea, a weight loss tea, and a great-tasting herbal tea all wrapped up in each unbleached tea bag. But, most of all, Iaso Tea is a healing tea. Remarkable things happen when you drink Iaso Tea every day. It is gentle, yet surprisingly powerful as a colon cleanse, parasite cleanse, Candida cleanse, blood purifier, and whole body DE-toxifier. It acts like a general health tonic and a home remedy for many ailments like the ones mentioned below. 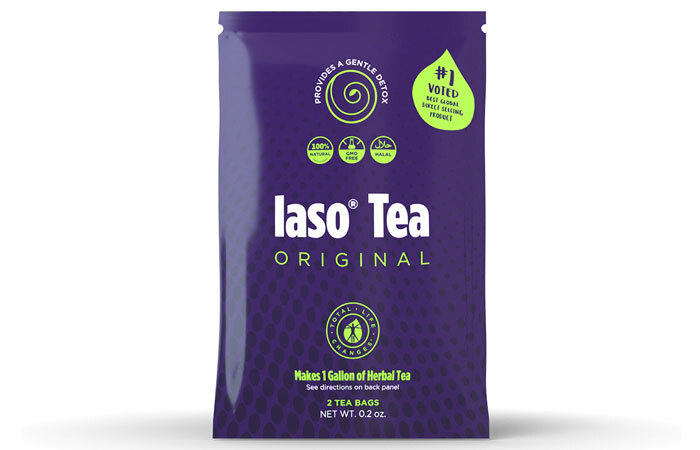 Some want to call it a "miracle tea", but Iaso Tea is a cleansing and slimming tea with a special blend of high-quality herbs, tested and refined over time, which produce fast and effective results that no imitator has been able to copy. Iaso Tea consists of 9 - 100% Organic Herbal Ingredients so you can get back to enjoying perfect colon health! . We know that you have numerous choices when deciding where to buy Iaso Tea. We wanted to seperate ourselves from the rest of the crowd by offering loyalty rewards to our loyal iaso tea customers. The ONLY requirement it to place your Iaso Tea order on our website! Iaso Tea, formulated by Total Life Changes, is the best detox tea for weight loss which contains nine 100% organic ingredients. It is the special blend in Iaso Tea that allows the gentle cleansing of the whole body with continued use.